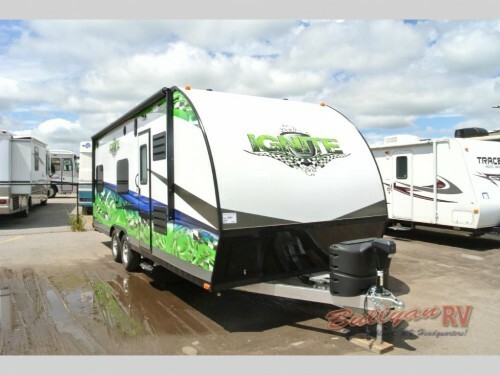 Closeout Prices on our Livin Lite ignite Toy Haulers! 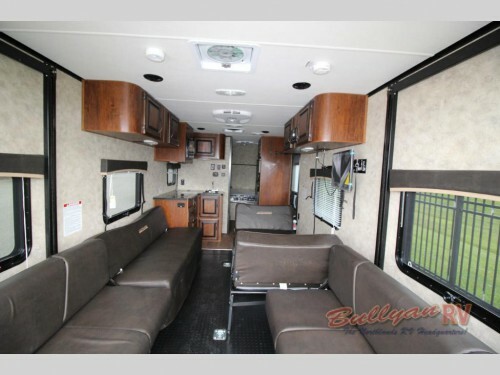 We are having a huge closeout on the Livin Lite IGNITE toy haulers for sale here at Bullyan RV! We have only 2 left in stock with discounted prices reaching over 43%, so you can take home all of the comfort and adventure that comes with these travel trailers for an incredibly affordable price. Take a look at our final floor plans, and see just what they can bring you! Save over 43% on our Livin Lite IGNITE Toy Haulers! Our 8524 floorplan is currently being offered at the an unbeatable price of just $28,995 to bring you a savings of over $22,000! Inside this wonderful camper, you will find a convertible garage area perfect for storing your outdoor toys and becoming an integral part of the interior living space with its overhead bed, booth dinette, and TV. Find everything you need to stay comfortable at the campground with the fully stocked kitchen and 3-piece bathroom complete with shower with built-in seat! Plus, the ramp door patio deck off the rear will provide you even more space to enjoy the outdoors around you! With only 2 models left, you better hurry up to get in on these closeout prices! We also have a Living Lite 8526 available on this closeout sale. The extra large, convertible garage will house dual fold out sofas that can become a bed for extra sleeping space once all of your outdoor toys have been removed. With a kitchen and living room combo room, you’ll have space for everything you need in the campground including a built-in swivel TV! Convertible garages provide comfort and adventure. Plus, there will even be a master bedroom close to the bathroom. Here you will find not only a comfortable bed to sleep in, but a sink and mirrored medicine cabinet to help you get ready in the morning. 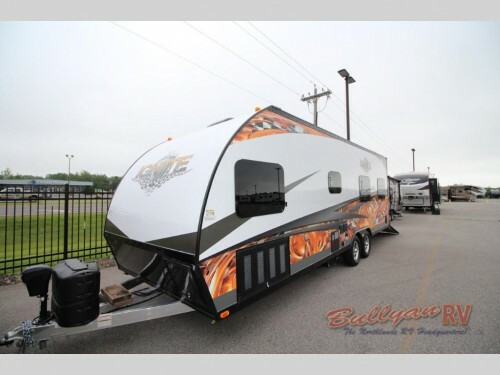 With the combination of only have two models left and the closeout sale prices, these Livin Lite IGNITE toy haulers will not stick around for long. So make sure you contact us or come by our location as soon as possible to find out how you can get in on these amazing deals!